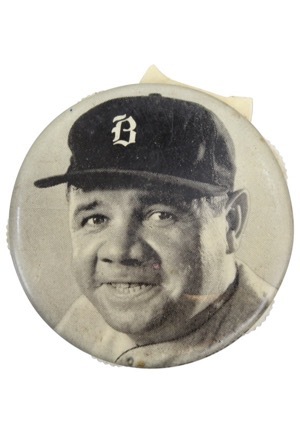 A two inch diameter round baseball indicator depicting the iconic Babe Ruth on the front. 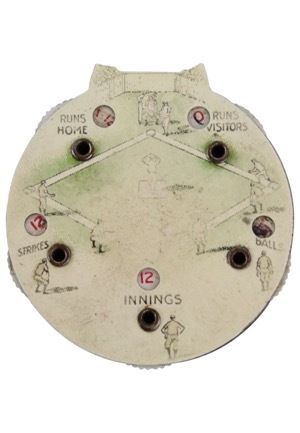 The back shows a baseball field and has sliders that are able to change the “RUNS HOME”, “RUNS VISITORS”, “STRIKES”, “BALLS” and “INNINGS”. All categories are able to change up to “12” and are in working condition.